WASHINGTON — So far in 2018, the region faced destructive flooding in Ellicott City and a damaging wind storm in early March. But one mode of severe weather remains conspicuously absent: There have been no tornadoes anywhere near the D.C. area this year. A tornado with winds up to 75 miles per hour traveled for a little over a mile, downing several trees along John Marshall Highway in Fauquier County, Virginia, on Aug. 11, 2017. 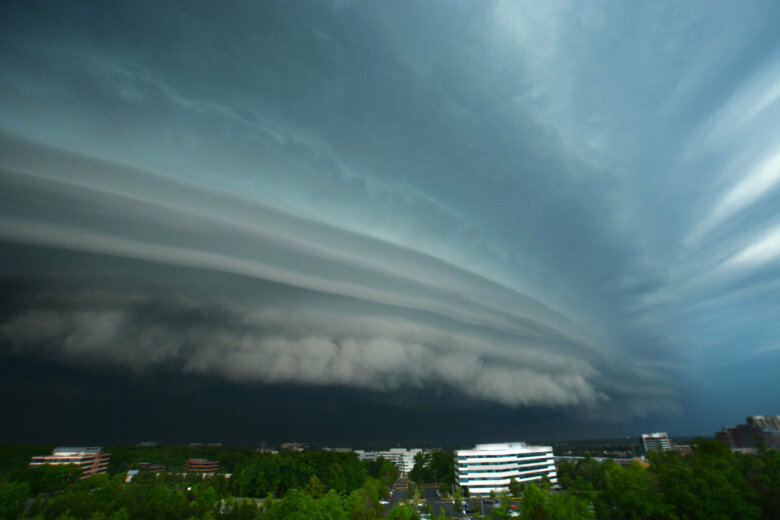 It was the last tornado confirmed by the National Weather Service in Sterling, Virginia. “Over the last 10 years, we’ve had 143 tornadoes in our area. We haven’t had a tornado yet this year. That’s only the second time in the last 10 years that it’s been this late in the season,” said NWS meteorologist Jim Lee. Lee runs the Baltimore-Washington office, which monitors weather between the spine of the Appalachian Mountains in West Virginia to the western shore of the Chesapeake, and from central Virginia to as far north as the Pennsylvania state line. In that massive 35,000-square-mile area, it’s been nearly 11 months since the last tornado touched down. Lee is quick to point out that although the region has averaged about 14 tornadoes per year over the last decade, there is a high variance from year to year. Even so, the last time there was a comparable lull in local tornado activity was back in 2010, when the year’s first tornado didn’t touch down until Aug. 10. What’s more, the most tornado-prone period of the year is passing uneventfully. “June is definitely the peak [tornado month] in the last 10 years,” Lee said, adding that May and July are runners up. There were 16 tornadoes last year. In early April 2017, seven weak tornadoes touched down in a single day, including two that moved through the District. According to the National Centers for Environmental Information, Virginia averages 18 tornadoes per year and Maryland expects to see 10. Maryland hasn’t seen any twisters in 2018; the latest was an EF-2 that struck Kent Island on the state’s Eastern Shore last July. The weather service in Sterling has issued 10 tornado warnings so far this year but, despite showing signs of rotation, none of the storms that prompted the warnings were found to produce tornado damage. Despite the downturn, Lee urged the public to remain weather-aware. If a tornado is imminent, the safest place to be is in a basement or an interior room on the lowest floor of a sturdy building. If outdoors, in a mobile home or in a vehicle, the weather service suggests people should move to the closest substantial shelter.